This is a 2-part live webinar with Dr. Ginger Garner. This webinar will take place on Tuesday February 12 and Tuesday February 19 at 8pm EST. By signing up on this page you are signing up to both dates and you will be provided with a confirmation and access details via email. You can tell a great deal about a person’s health by listening. Listening to her voice. Listening to her story. 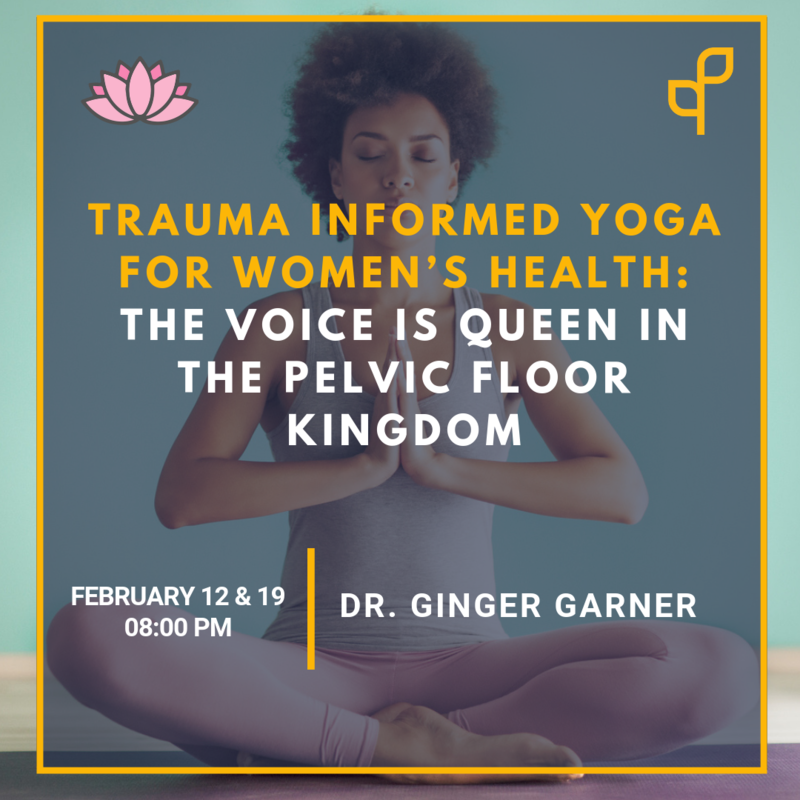 In this course, you will appreciate why the voice is queen in the pelvic floor kingdom through an exploration of the connections between three diaphragms (cervico-thoracic, respiratory, and pelvic) and their intersectional systems-based influence on health. The voice is the tell-tale sign of health in a person – it is a new biomarker for wellness, from sexual health to core strength. We can often spend a great deal of time approaching pelvic floor health by addressing the pelvic floor directly, but in many cases, a pelvic-floor-centric approach may not be best or even possible. A very common example where an indirect method may be best is in situations of trauma. 1 of every 3 women has experienced some kind of sexual trauma or birth trauma, and with rates like this it is important to develop sensitivity to trauma-informed and indirect methods of nurturing pelvic floor health. The voice also dictates the success of your livelihood and impacts your effectiveness as a therapist or teacher. This course addresses both ends of the spectrum, from the throat to the pelvic floor, showing you how the oral cavity and laryngeal area have as much to do with your pelvic floor health as the levator ani. Join Dr. Ginger Garner as she guides you through an indirect if unorthodox approach, of studying the voice in order to reveal and address dysfunction in the pelvic floor. This session will include 2 one-hour sessions and will address not only pelvic floor health but the general use of trauma-informed yoga for women’s health. Describe an evolved definition of core strength & pelvic floor health. 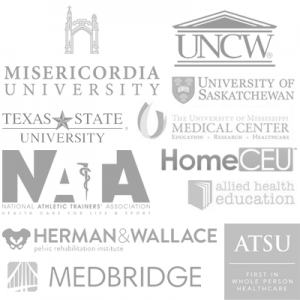 List the biopsychosocial & neurophysiological implications for optimizing pelvic floor health. 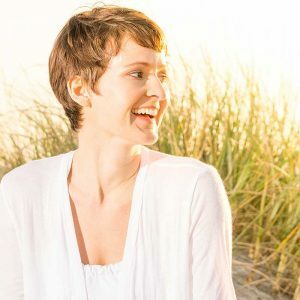 Identify key breath work, postures, and mindfulness techniques that support vocal, diaphragmatic, and pelvic health. Interpret how vagal tone impacts self-regulatory mechanisms in order to understand interventions that improve tone. Differentiate between the motor systems that influence vagal tone. What are the three diaphragms? The Cervical-Thoracic Diaphragm (laryngeal and oral diaphragms) is responsible for neurological optimization of stress response, swallowing, and communication, which controls vagal tone for cardiorespiratory functioning and the respiratory and pelvic diaphragm functioning. The Respiratory Diaphragm is a connecting point between cephalad and caudad diaphragms, and is the main muscle influencing pulmonary function. None of the diaphragms work in isolation, therefore, each exacts an influence on vagal tone and function. The Pelvic Diaphragm is the terminal end of the tri-diaphragmatic (3D) system, and can bear the brunt of trauma and impairment with dysfunction in the superiorly-located diaphragms. The pelvic diaphragm contains the muscles of the pelvic floor, which in turn impacts pressurization of the entire 3D system. What is trauma-informed yoga? Isn’t all yoga trauma-informed? Trauma informed yoga is yoga that takes into consideration the background and experience of the individual and makes real time adaptation and modification for the health and well-being benefits of the individual. Not all yoga is trauma informed or sensitive, just like not all yoga is therapeutic. Group classes often happen on a drop-in basis, which doesn’t allow the teacher to have prior knowledge or screen for trauma. It is important, especially when working with high-risk populations for trauma, like expectant women or mothers or military service members, to screen everyone for a history of trauma and to make our classrooms and practices safe spaces for individuals to heal and recover. Why is the vagus nerve important? The word vagus means “wandering,” hence it is known as the wandering nerve. The vagus nerve impacts the gut-brain body axis as well as cardiovascular and pulmonary health, which have a ripple effect on the entire mind-body complex. From chewing and swallowing to noise production to breathing, digestion, mood, and sexual health, even giving birth, the vagus nerve plays a critical role in the success of all of these functions.